Over 4 years in the making, the 3rd installment of The NIN Drive torrent is live! If you are not familiar, this is the whole nin live archive in a torrent. There is over 680GB of audio recordings on the drive (about 1,071 sources). 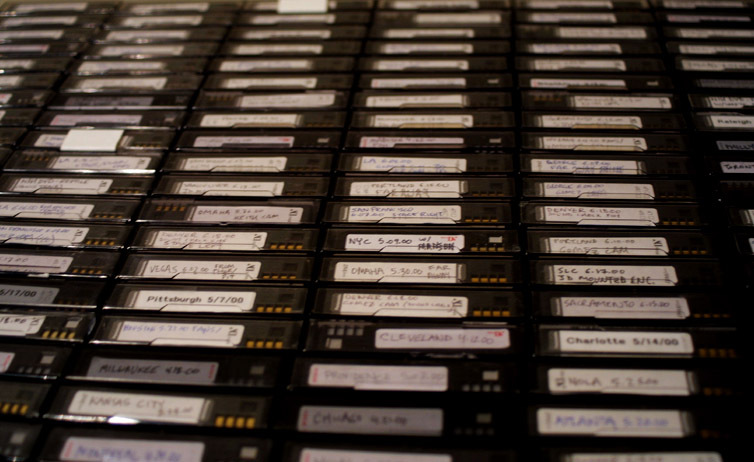 Every file is tagged properly and includes artwork, about 26,000. I am very proud of the release as there was a lot of work involved in it. You need at least a 750GB hard drive to download this. We have some initial seeders on the torrent to get this thing off the ground. You can read more about the nin drive and download the torrent below. Hello everyone! Just wanted to make an update and say hi! School has been very intense the last few months, especially February where I had 9 exams in the month. But I have been doing good! If I can survive this semester, I think I can get through this! Anyways, along the way I have been updating the archive with video recordings! Slowly, but surely, I will be adding things from my collection. I also have some help from a friend in LA that will be editing some raw footage I have obtained over the years to get it out in the proper quality/formats! There are a lot of things that I want to update about the site. I have started to implement small icons next to each show to specify what the show has (audio/video recordings, ticket stubs, setlist sheets, posters etc) in terms of recording and memorbilia. I hope this helps makes things clearer. If you have a setlist, ticket stub or poster that is not on the archive, I would love a picture or scan of it! You can always email me! I also created the 'other' section on the archive that will pertain to all things about Nine Inch Nails live and I will try to upload some cool content to it in the future. The new version of the NIN Drive will be starting the initial seeds very soon. I have made a few modifications because of an error/mislabel of a recording and I would hate for that to be released to the masses like that. Also, in that time I have been making some small changes. There has been a few newly surfaced recordings that will make its way onto the new version. Since there has been a MASSIVE amount added to the Drive since the first release in 2014. It seems only fitting to make this be v3.0 (and not v2.1). I am very stoked to be sharing the new version of the drive! I am on spring break next week and I hope to have it released next week! I also still want to make another 2017-2018 Tour Cycle review. Look for that in the coming weeks as well. December 31st marked the 10th anniversary of "Reflecting In The Chrome" aka ninlive. I've been looking back at all the work that has been put into the site and how much I have enjoyed working on this project in my spare time and connecting with other fans around the world. Going to the Atlanta/Hollywood Palladium shows this past tour and speaking with other fans was truly amazing and am glad so many enjoy the archive! I love sharing music with others and that is why I started taping shows. I also want to thank again Trent for his support on the archive and taking the time in Atlanta to chat. One of the best moments of my life! Keep checking ninlive as I will be trying to add a few recordings each week. ninlive is obviously on the socials, and I try to update those if you want to see what has been updated on the archive. Until next time! 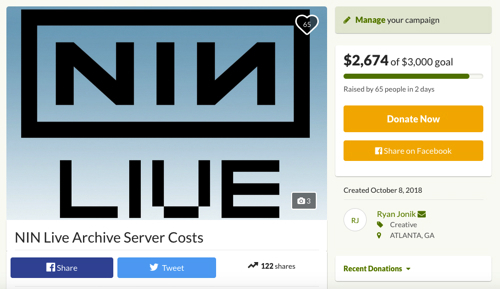 10/03/2018: It Finally Happened... ninlive Meets NIN! After running this site for almost 10 years, 35 shows, and been a life long fan. I was finally able to shake their hands and tell them how much I appreciate their music right before their first show in Atlanta! 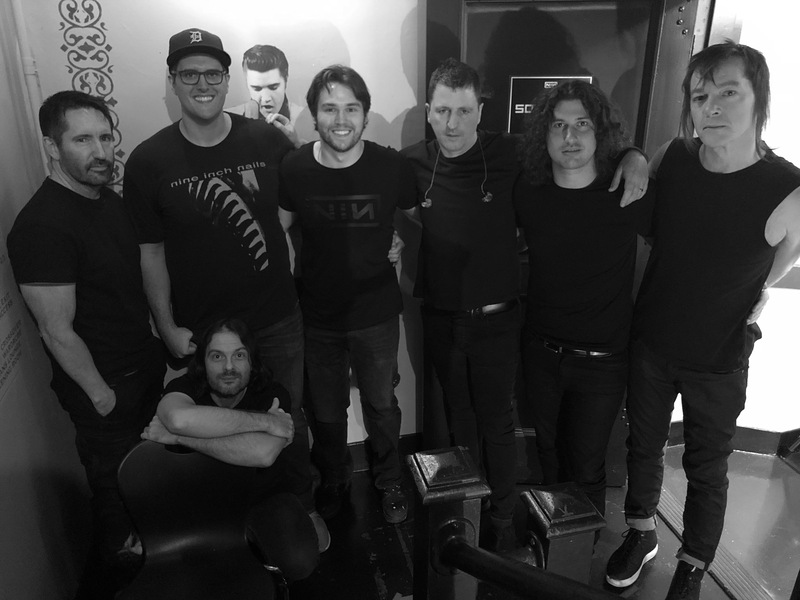 Thank you to Trent and the band for taking the time just before they went on stage to chat for a few minutes with me about the archive, live recordings, and a few other projects that are in the works! You can read all about my meet-up with the band at EchoingTheSound. More shows on the way and the ninlive audio rig will be making its way to the next city! If you'd like to get involved, let me know! Thanks to everyone who followed along the past week for the updates of this and those that helped make this happen. It was truly an amazing experience that I will never forget. Now, I’ll get back to school and working on updates to the site! Cheers all. Until next time. NIN fans, I need some help from you!! I am looking for any ticket stub/poster/setlist sheet from any past Nine Inch Nails shows! A lot of you have been awesome already and sent me in a few hundred concert stubs to add to the archive, THANK YOU! But obviously, there are still a lot to acquire! Check the date in the archive to see if there is a stub, if not, please send it over! Photos or scans are totally fine! I am always looking for new sources. If you have taped Nine Inch Nails in the past, audio or video, and do not see it here on the site. Please get in contact with me via email, twitter, smoke signals to have it added to the archive! I am always looking to add more information to unknown recordings here at the site to make it the most comprehensive and detailed archive possible. If you do not have the means to transfer the tape, I can transfer almost every since piece of media you throw at me if you send it over! I will send it back in a reasonable amount of time.